Home » Vietnam Travel » Hoi An City » Hoi An Nightlife – What To Do At Night In Hoi An? 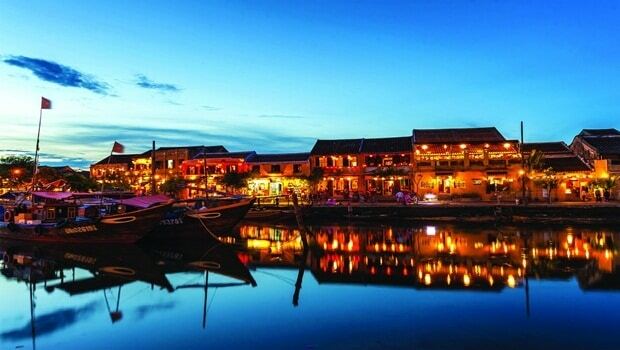 Hoi An, one of the most famous towns of Vietnam, is quiet and romantic at night. There are two factors making it an attractive destination at night. The first is that you could wander everywhere because it is small enough for just one night out without the help of wheels. Actually, the centre area of Hoi An is pedestrian only. The second factor is that the cheap beer sold here. The beer in Vietnam, in fact, may be the cheapest all over the world. The truth is that Hoi An is not well-known by running parties, it does have lots of cozy great bars, cozy cafes, and excellent music venues, which are as attractive as the city old itself. Furthermore, during nighttime, most old houses are gorgeously turned on with hundreds of colorful lanterns and you could witness a lot of floating candles on the river. Such a fascinating view of Hoi An nightlife! Many people say that they like contemplating the old town of Hoi An at night than during the days. That sounds strange but there is a reason behind that statement. It is not accidental that this two is respectfully chosen as among most amazing nightlife cities worldwide. Also, it is not by chance that people, both local and international, call Hoi An as “Venice of Vietnam”. 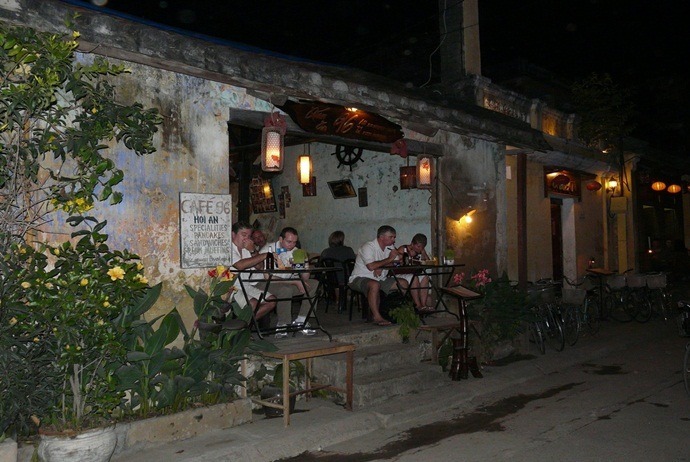 There are some sites in Hoi An which are worth visiting at night. When the night falls down, Chua Cau (Chùa Cầu), also known as Japanese Bridge, is shined by the lighting system which changes in color continuously. You will see many young couples taking wedding photos and kids selling colored lanterns and flower garlands here. Indeed, this bridge looks much more sparkling in nighttime than daytime. Another bustling and crowded destination near Chua Cau is the night food corner. During daytime, particularly in the morning, this corner is quiet, but in the evening, it gets lively. Here, locals sell Hoi An’s specialties like “can law”, Quang Noodle (Mì Quảng), chicken rice with affordable price. You could enjoy the food while contemplating Hoai River. After 6 pm, the lights are turned on in the old quarter. Also, it is the time for flower garlands to twinkle. When walking along Hoai River, you could see a lot of beautiful girls in “Ao dai” wearing traditional Vietnamese hat – conical hat – and holding winnowing baskets with full of flower garlands. Another suggestion for you when it comes to Hoi An nightlife is Bai Choi (Bài Chòi) Game. That not only attracts domestic tourists but also international ones. Every night, the large yard near An Hoi Bridge is bustling with Bai Choi game which is an interesting traditional game in Hoi An. You could buy a chess piece, and listen to dealer singing some folk songs ended with the name of a certain chess piece. Once your chess piece is the same of yours, then you will win this game and receive a gift. You can also take time to visit Hoi An night market. Here, you will see many handmade products which are made from metal, wood, and so on. This market attracts a large number of female tourists as here they could buy necklaces, earrings, bracelets, etc. 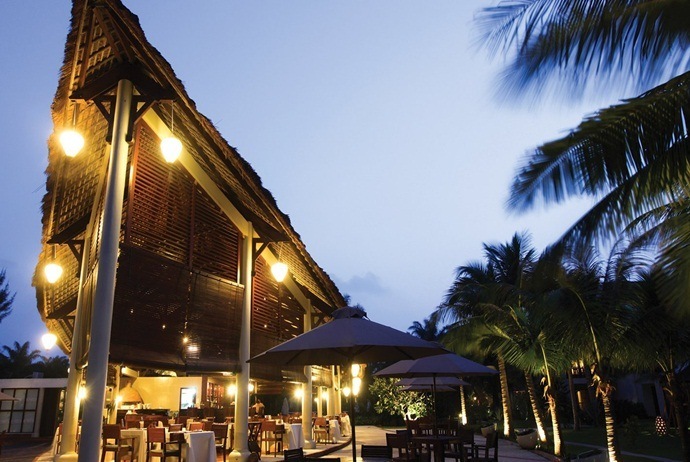 Hoi An, on the other hand, also offers you a wide range of bars and clubs. This following night tour will give you some suggestions about Hoi An nightlife. Check it out, visit and enjoy the great Hoi An nightlife! Located on Le Loi Street, Before And Now is a popular entertaining destination for expats and tourists alike. Thanks to the good location, it attracts a large number of travelers, both domestic and international. Hence, it is on the top position of this Hoi An nightlife suggestion list. The bar offers a wide array of cocktails, fresh juices and beer. Often getting lively after 8 pm, Before And Now has good customer service and affordable price. 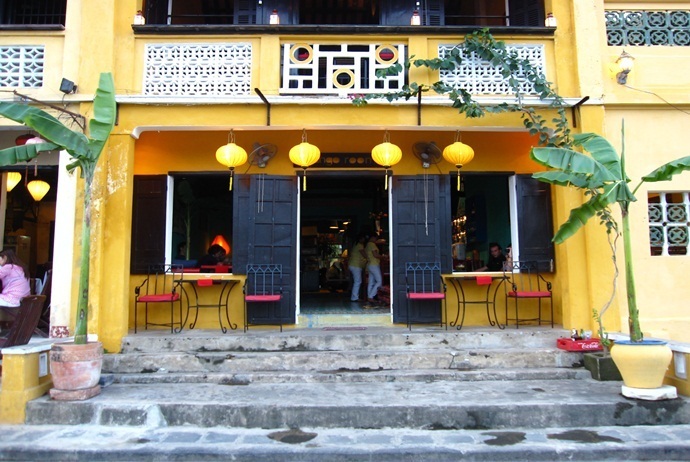 Located along the river, the charming Café 96 stands out from others in Hoi An due to its trendy and rustic features. With exposed bricks, peeling paint, this café is an ideal spot for travelers who want to enjoy the scene of the poetic river in Hoi An. It enables customers to relax in a unique atmosphere. The drinks and foods here are excellent, particularly those local dishes. It serves guests with cheap beer and a variety of plenty street food like spring rolls. Thus, do not worry if you feel hungry, the menu has a wide range of dishes for you to choose from. Everything professionally cooked and severed by the family owners. Another suggestion when it comes to Hoi An nightlife is ChamPa, which is situated on the busiest night street of Hoi An. The cosy ChamPa offers a diversifying selection of wine, comfy chairs for guest to lounge in and the cultural dance performance. Having pool tables for anyone who fancies a game, and art exhibition on the ground floor, Champa is among worth-visiting places that promise to give guests an interesting experience of Hoi An nightlife. Guests are recommended to arrive early as it gets crowded soon. 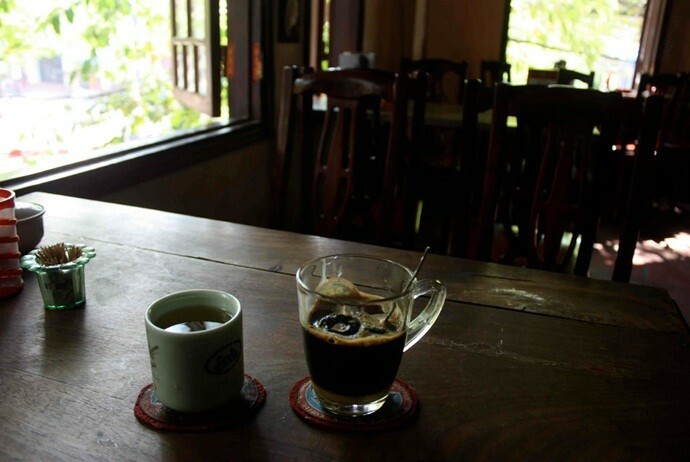 If you want to enjoy a late drink in Hoi An, then you should not miss Hai Scout Café. Even, this is also ideal for you to enjoy a morning coffee to right start your new day. 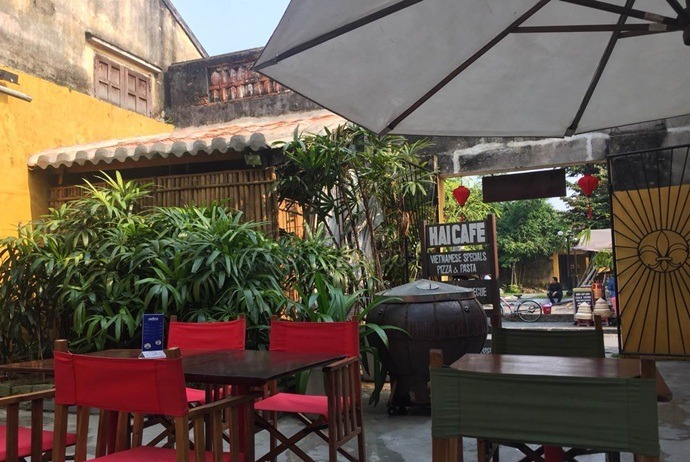 Situated in the breezy venerable building right in the old town of Hoi An, Hai Scout Café serves people with tasty drinks which are the best enjoyed inside the large grassy courtyard at the area behind the café. When entering the café, you will be impressed by some handicrafts and artwork for sale here. Also, there are a variety of bar food, including sandwiches of western style. 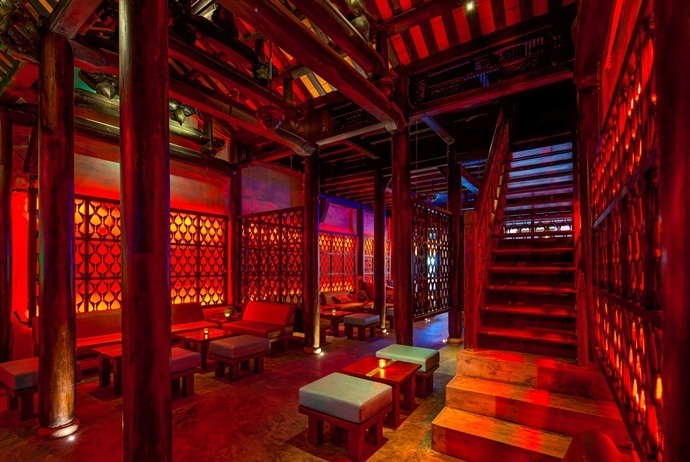 Ideally situated next the well-known Japanese Covered Bridge of Hoi An, Mango Mango is a funky bar which is stylish. Having an extensive menu of drinks, this red lacquer bar is perfectly accompanied by cocktail tables. You can still enjoy the great drinks here while letting your soul flow with Latin-inspired music. Some of succulent foods are on offer in Mango Mango. You can stop by Mango Rooms for tasty beverages, an innovative three-course meal and a delicious light snack. You can enjoy a tasty taste of the combination of modern cuisine in tropical area and local fresh products. The happy hours in this bar is from 5 pm to 7 pm. You are recommended to visit Mango Rooms on the weekend because there will be a party where expats and artists gather and create a good relaxing time together. Q Bar in Hoi An is part of the chain of Q Bar branches in Vietnam. The most well-known branch is in Sai Gon (Sài Gòn). This bar is ultra-hip and attracts a large number of people who do not mind paying high costs for great drinks. The design and interior of this bar is chic and flashy. With the widest selection of cocktails in Hoi An, Q Bar has one of the most unique drinks in Hoi An named Tra Que (Trà Quế) Garden, which is a sumptuous bend of cucumber, gin and lime. 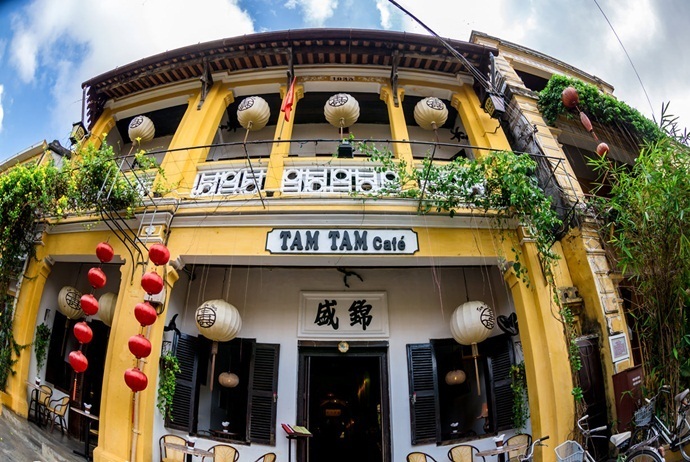 One of the most interesting and popular sites of Hoi An nightlife that tourists should not skip is Tam Tam. This upmarket venue has friendly atmosphere and is housed in an old building. Despite Tam Tam is not as loud as it used to be, it is still a lovely place for you to enjoy a drink whilst catching up with friends. 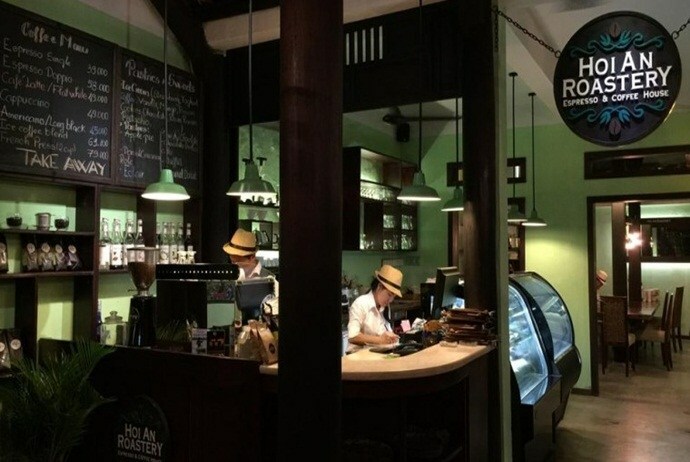 You can head to the intersection of Tran Phu (Trần Phú) and Le Loi (Lê Lợi) Street for this café shop where are offered until late while a game of pool is always available. Treats Same Same covers three floors with nice decoration have window tables that deliver great river views. Besides, thanks to hanging lantern jars so the light here is low. With warm and friendly ambiance, it is not a bad place for you to enjoy a romantic drink despite the music could sometimes be loud. Among entertaining destinations for tourists, Treats Same Same Not Different Bar is very popular among backpackers who are seeking a game of pool and pizza. This bar is the sister of the “Treats Same Same Café” mentioned above in this list of Hoi An nightlife suggestions. During peak hours, the bar could be busy and boisterous because of its great location close to back-packers accommodations and hostels. For those who want to hang out with fellow backpackers, it has plenty of things to enjoy. However, to be honest, the selection of food in its sister nightspot – Treats Same Same Café – may be better. With diversifying types of beers, fabulous wines, spirits and cocktails, this is deserved to be one of the most impressive Hoi An nightlife spots. All drinks are priced reasonably. Situated in a classically renovated heritage establishment, White Marble grabs most colors of the old town. You can relish a fine wine and then have a light snack while enjoying the view across Thu Bon River. Admittedly, the beach is where wildest parties are celebrated with participants heading down to Cua Dai after clubs close. Indeed, Zero Sea Mile Beach Club belongs to a large complex of entertainment with the bar area signing with various dance tunes. If you love coffee, particularly cappuccino and espresso, then don’t skip Mia Coffee House. This spot is located in a shaded corner with great food, namely hearty baguettes and grilled Panini sandwiches. Its own coffee is made from high quality Dalat (Đà Lạt) Arabica beans, so make sure that you do not miss affogato, a tasty blend of hot beverage and dessert. This mini bar-restaurant is gorgeous in terms of appearance, with an ideal riverfront location. The nice terrace is great for having a coffee or a cocktail, particularly during 18:00 – 21:00. However, the food is not really worth mentioning. 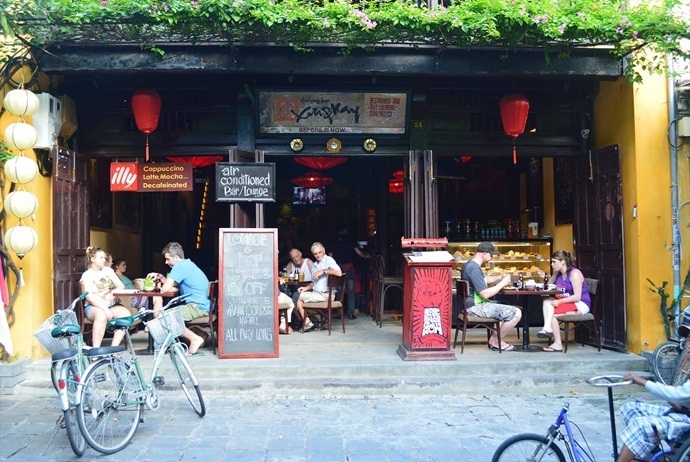 With excellent cakes, origin brews, fresh juice, and tasty smoothies, this cool spot will not let you down in terms of expecting a satisfying Hoi An nightlife. There are over 200 different caffeine-fuelled variations for guests to taste. Besides, guests can also enjoy great drinks here while watching the passing promenade on the busy street outside. There you have known some of the most recommended spots of Hoi An nightlife which are very worth coming. However, you should also bear in mind some rules for a safe night out in Hoi An before heading outside at night. Despite Vietnam is a safe country, carefulness is always not redundant. Hoi An is not like Hanoi or Saigon, the tourism industry here is rather new and people still live off the land and the most influential fashion trend to hit the streets is the two-piece pajama set. If you stroll around, both daytime and nighttime, with flesh-flashing clothes, then you will not receive much respect from locals. It is the best for you to leave your key at hotel because most hotels in this old town will close after 22:00 if there is no evidence all guests have not come back or retired for the entire night. If your key is there, then the hotel receptionist will often not lock up till you safely come back. This means if you meet trouble outside your hotel, then you can alert them and get into. You should make sure that you know how to get back to your hotel after having a night out in Hoi An. If you change your plan, you should make sure that the friends who go with you aware of it. Or, if you bail out early on your own, get the bar serve to arrange you a taxi directly to your hotel. If you are not good at remembering how much booze you have ordered, then at the end of the night, the bill may get unpleasant so much. Many foreign tourists said that, they surprised that how fluently the Vietnamese bar staff speak English in regard to payment. Well, that may be because they practiced such conversations nightly, over 40 times. Yet, make sure that you know what are included in your deal before paying. Do not make noise in Hoi An and most other areas in Vietnam after 21:00. No matter how passionate you are for loud music, once you have closed the door and are outside, you should keep it off. Usually, noise often attracts trouble. If someone in the bar gets uncontrollable and even annoys at you, do not disturb them as you may attract trouble. If you could not avoid, then you can get help from other people who can call the police. The situations could rapidly escalate and a small communication mistake could trigger a cultural misunderstanding, particularly where drink gets involved. You should not try to be the hero. If you choose “xe om (xe ôm)” as a means of transportation, then you should be vigilant. Negotiate the price and wear a helmet before getting on. A tip for you is that it does not cost much more than 150,000 VND for you to travel around the town by taxi, and 70,000 VND by xe om, if your hotel is in Hoi An. If you find yourself in trouble with a xe om driver, then you should take control of the situation until you arrive your hotel and get the help from the night watchman to negotiate or handle the situation. In case something bad happens, you should report it to the local police. However, in compared with other countries like Thailand, Vietnam is still a much safer place for tourists. So, take it easy! Hoi An, one of 50 cities that people should not miss visiting at least once in the life, is beautiful at night, yet maybe, it becomes most charming when all the shops and clubs close and there are not much tourists. Since, this old town comes back to its old silent look and you can feel all its beauty. This list of suggestions for Hoi An nightlife hopefully has helped you note down some interesting places to visit and things to do in Hoi An at night. If you have any contributing ideas about this topic of Hoi An nightlife, feel free to leave your words below this post. We will feedback as soon as possible!